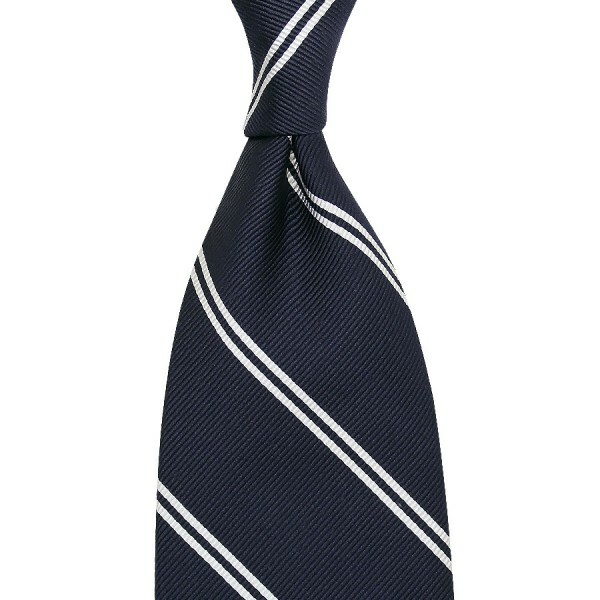 Product information "Double Bar Repp Stripe Silk Tie - Navy - Handrolled"
Navy repp tie with fine white double stripe. A pattern as simple as brilliant: works just as well in business outfits with brown or grey suits, white/light blue striped shirt, blue braces, Omoide pocket square and dark brown oxfords as with a brown linen jacket, white/pink striped shirt, navy pocket square, striped braces, grey pants and suede loafers. Related links to "Double Bar Repp Stripe Silk Tie - Navy - Handrolled"